A little update from me here in Japan. I've been here for three months and been crazily busy learning new things and hanging out with awesome people. Everything has been better that I could imagine before coming here and I've had so much fun. I settled into my life here pretty quickly. 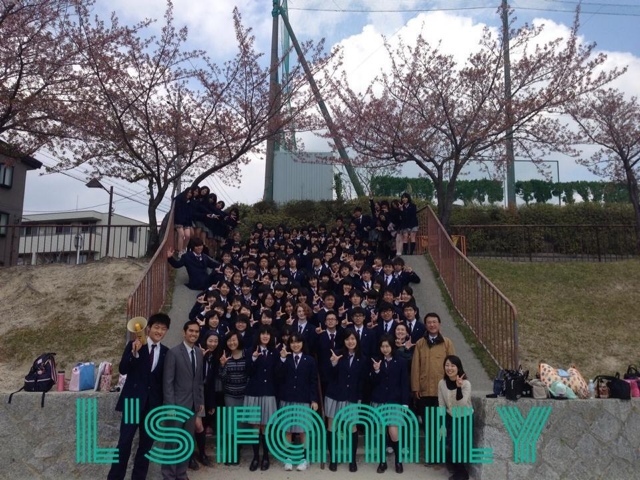 I go to school with an awesome class, spend time with my amazing host family at home and have gotten many super fun friends, both other exchange students and Japanese people. I've been really busy and haven't really had time to think about telling other people about my experiences, so I'll try to recap everything here. I'm sorry for a long blog post. The last time you heard about me I had just arrived in Japan. 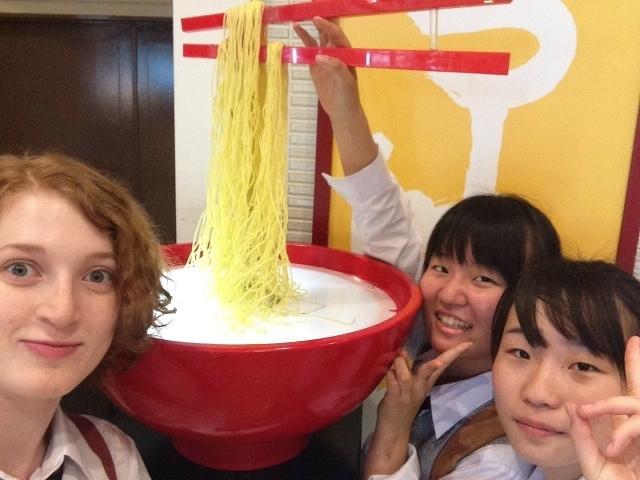 I were at a hotel in Tokyo for one night, talking with other exchange students and trying to stay awake. 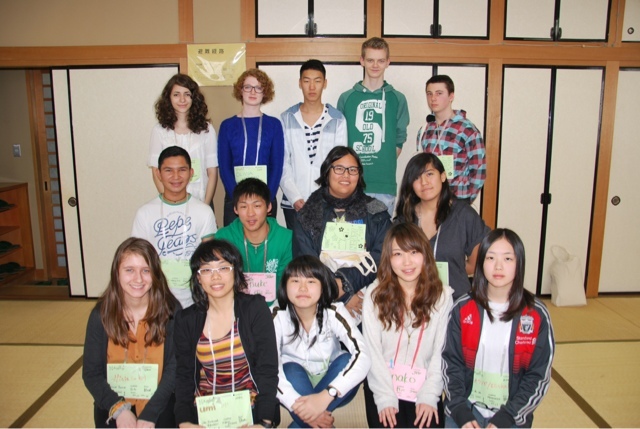 The following morning we exchange students took buses to different locations to have arrival camps. 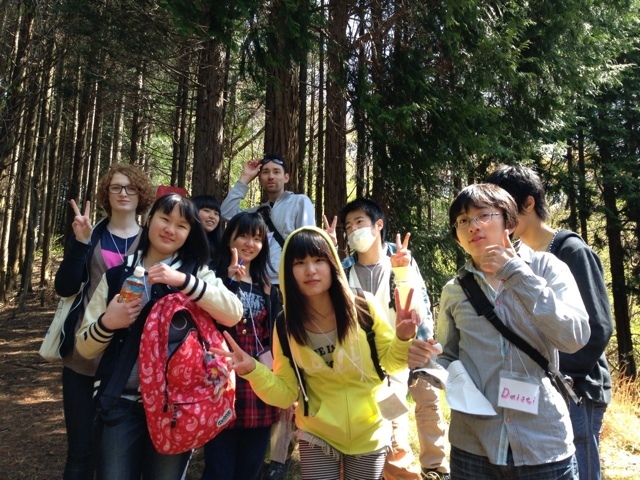 My group of about 50ish went to a camp a bit outside of Nagoya, where we talked about what to expect from our exchange year and got some important information. 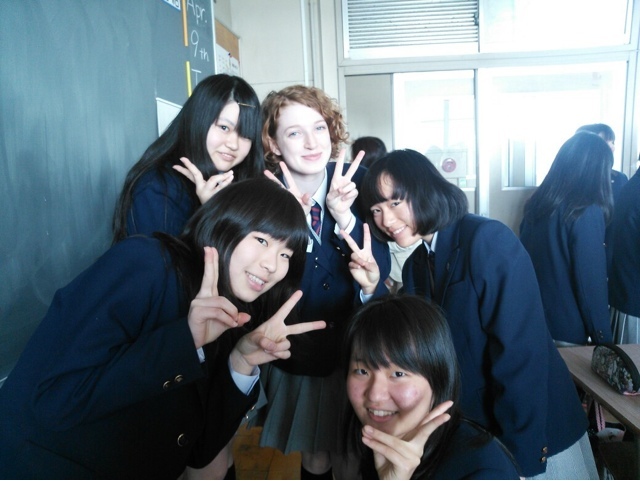 We exchange student also just talked a lot and got to know each other, it was a lot of fun. On the Saturday after a few days of camp we were meeting our host families. My host mom and brother came to pick me up from the camp and I was pretty nervous before meeting them. The language was my biggest concern since I had only studied Japanese for about a year and was uncomfortable speaking it. 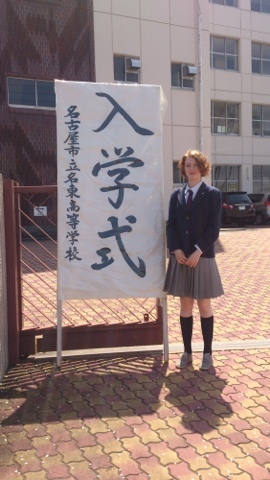 But everything went fine and even though the car ride home was the first time in my life I had to really speak Japanese I was able to communicate alright. I really love my host family, my parents are super kind and my two younger brothers are adorable and I have a lot of fun playing with them. I got the flu after being here for a few days, but apart from that everything has been amazing. 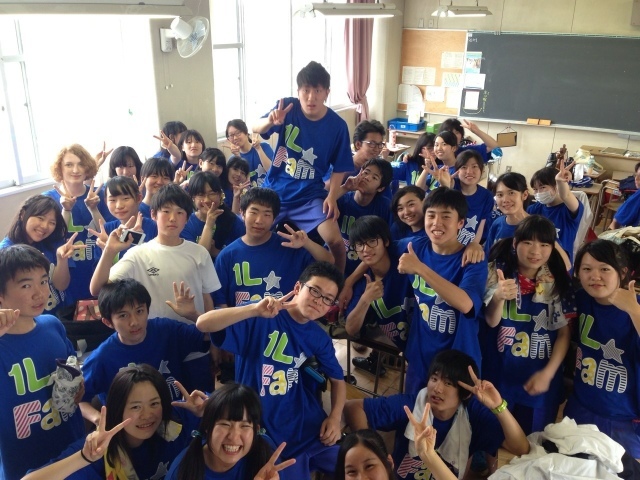 I basically just go to school everyday and live a "normal" Japanese life. I have done some more special things as well. We were at a three day camp with my class, I have also been on a camp with other exchange students, I've been at a waterpark/themepark/amusementpark thingie with my host family (also the swimming pool and the Nagoya aquarium; PENGUINS!!! 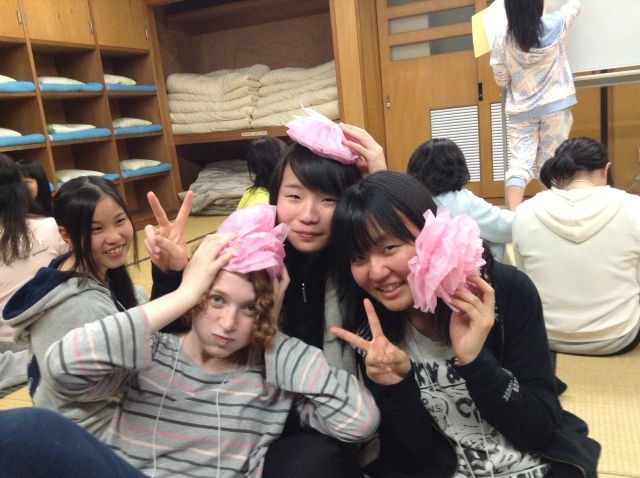 ), went picking strawberries, had my school sport event, saw Nagoya castle and had my 17th birthday. I have done lots of other this as well, that's just from the top of my head. I'm going to leave you here with some pictures and not bore you too much with my writing. In all, I've had the most awesome three months and am looking forward to spending another eight months here!